In a continuing efforts to update and freshen up the way consumers and prospects interact with and perceive 5LINX, we’re proud to unveil a complete redesign of 5LINX.com. 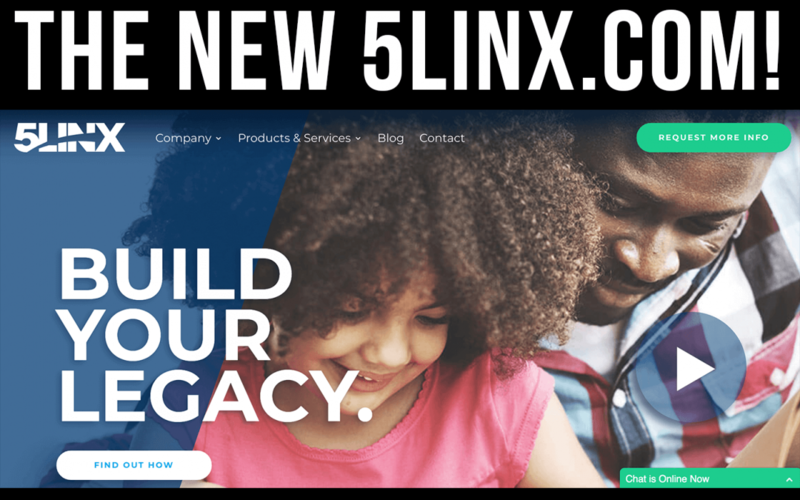 With a newly added chat feature and a sleek new design, the new 5LINX.com represents a continued commitment to help individuals Build their Legacy. Visitors are able to learn about the 5LINX Opportunity, while also exploring the extensive 5LINX product line. While logged on, they can also browse the latest 5LINX news articles, view testimonials from current 5LINX leaders and much more. In continuation of this website redesign project, the next task is the redesign of 5LINX Representatives’ Personal Websites.